There is a little naughty boy in the third-grade class of Chinese school where I took over Chinese teaching in the middle of semester. This boy likes doing silly pranks during the class, such like making faces or making strange noise to attract attention from the others. And his Chinese dictation results were never satisfactory. Reciting a whole Chinese text is a “mission impossible” for him. I decided to try positive education method on him. Instead of asking him to recite the text like other students, I only required him read aloud the text. After he finished reading text, I warmly and sincerely praised him in front of all other classmates for his big progress in fluently reading Chinese. That was a first sweet reward to him. While teaching new Chinese characters, I further asked him to be my teaching assistant and to explain to other students those Chinese characters which are composed of the radicals and components that he knows well. I praised his efforts of being a good teacher. After three times reverse teaching like that, whenever I start teaching new Chinese characters, I see how much the so-called "little rascal" is longing to participate and to learn. As positive consequences, his attention span is largely improved, as well as his Chinese. In my immersion Chinese pilot class, I taught students how to say “bravo” in Chinese right after the first class. Whenever students answer correct my questions, I would say “Zhen Bang真棒” and raise my thumb! This has become a natural reflex. With the encouragement, my French students always actively raise their hands to participate. Sometime, I can see students may not be 100% sure about answers , but they feel safe and free to express and are very engaged in classroom activities. In my Chinese pilot class, David is a "problem student" in the eyes of teachers. Naturally, he receives less attention than other students. In the third pilot course, my colleague and I did a cultural activity workshop about Chinese Spring Festival and paper dragon handcrafting. My colleague taught David hand-over-hand how to write his name in Chinese characters, and promised him that he would be called first in next class to check whether he can pronounce his Chinese name correctly. Such a small attention and teacher-student interaction gave David great encouragement. While doing the paper dragon, David decorated his paper dragon full with beautiful Chinese characters he wrote, and for the first time, he voluntarily presented his own master-piece. In fact, there are many stories about Positive Education through my Chinese teaching. And the success rate is also very high. As a new comer in teaching Chinese as foreign language to kids, I would never forget an email received from one of my mentors. This email lists a lot of effective words and expressions used for positive schooling. These words are like magic spell stimulating students’ interests in learning, and making teaching relatively simpler. Do you have any stories about Positive Education? You are welcomed to share with us. 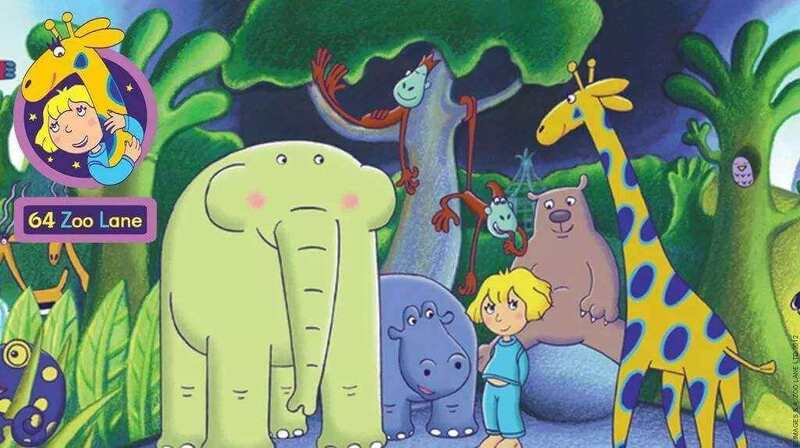 In addition, I strongly recommend a cartoon series on hihilulu Chinese content platform: “64 Zoo Lane梦幻动物园” produced by Millimages France. Definitely, those are brilliant stories about posititive education.